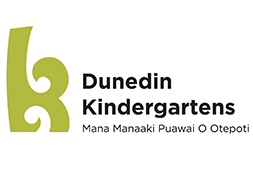 At Mosgiel Central Kindergarten, manaakitanga (care and respect for others) and whanaungatanga (relationships) is woven through everything that we do. Trust, respect and kanohi ki te kanohi (face to face conversation) is something that we value immensely. We aspire to create a culture where respectful warm reciprocal relationships are established between whanau, children and teachers. We believe that everyone in our learning community is unique and has a wealth of knowledge, which we value and honour. We view each child as a capable and confident learner and create opportunities to support, excite, challenge and extend their thinking, promoting a love for life-long learning. In 1947 Mosgiel Kindergarten opened in the Scout Hall and remained there until its own building was erected in Irvine St in 1957. In 2015 our new building was opened.